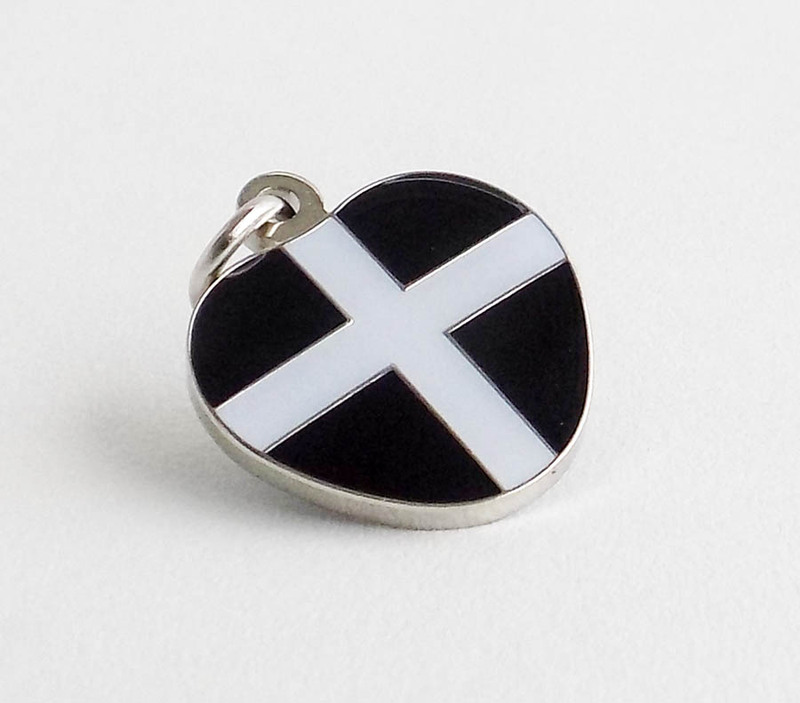 Cornish Flag of St Piran Heart Charm. Black and white double sided heart edged in chrome with chrome loop for attaching. Attach this lovely little Cornish Heart to your phone, keychain, necklace, even your dog’s collar!